Every one loves to earn money, and there are no two opinions about it. But earning money online is not as straightforward as sending a text, it requires hard hitting dedication with pure self believe to achieve six figures in earning. Still there are few methods, which require lesser concentration but gives marvelous results. To give you the better idea about it, let us take the example of YouTube Partner Program which gives liberty to video owners to earn smartly and more convincingly from their uploaded videos. Gloomily, some countries are missing this enormous feature due to which they are trying their heart out to convince Google to permit YouTube Partner in their state. As we all know, when some thing that goes up it has to come down in the same way the countries which are unable to make use of YouTube can still earn handsome amount revenue from an alternating website called Videofy.me. Videofy is a new video service for blogs it is commonly known as the video blogging websites where people share their own creativity and in return, receives quite enormous revenue. The main aim of Videofy is to provide quality based interface to both, their publishers and advertisers to keep their community a happier place. It allows us to upload almost any thing that we like it could be a funny video, a blogging video or what ever it is, it must be an excellent video to turn visitors attention. 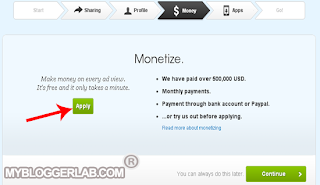 How To Earn Money With Videofy.me? In which state your videos are getting most views. 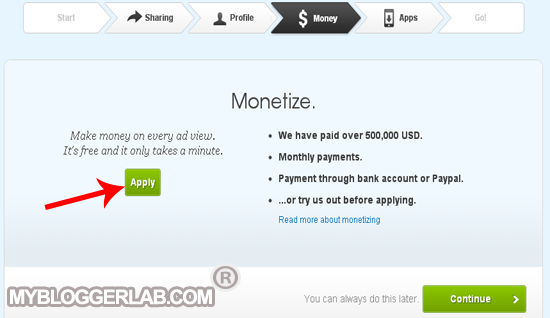 To start earning money with Videofy first we need to create an account, so we can access all the features of a publisher. To get started just register your free account by pressing sign up button and fill out your details correctly, I know it’s the dullest part. 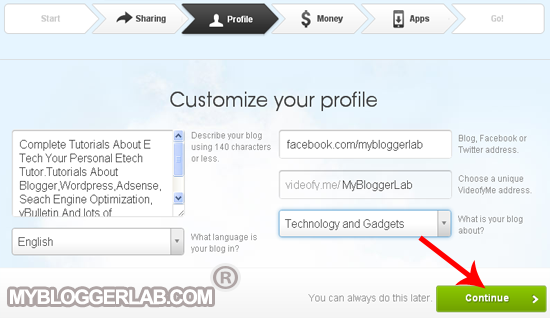 Selecting Sharing Method: Now after signing up, you will be precede to the next step where you will be questioned to select your blogging platform i.e. Blogger, WordPress and etc. But if for the time being you are not using any Blogging Platform, then no need to worry skip the step it can be done later. However, I am sure you would be using Facebook and twitter so to promote your videos on them use “Activate” button and move to the next step by clicking Continue. Customize your Profile: For a Publisher, crafting an eye-catching profile is the most critical part of this whole procedure. Profile replicates the personality of a person, so while you fill out your information remember to make it straightforward, and don’t use extra ordinary words which confuse anyone. Describe your blog using 140 characters or less. What language is your blog in? Apply for ad revenue: Well this is the best part of this whole process, now to apply for a publisher simply presses the Apply button. 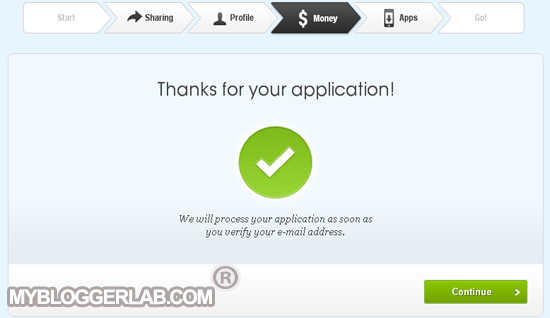 As soon as you click the apply button a new form will pop out, fill out your details and press the Send Application button and now wait till your application gets approval. Verify your Email Address: Now nearly all the hard work is done just one this is missing, and that is to verify our email address. Simply login to your email address and verify your Identity. After verifying your account, you are prepared to face the action. Home: This will redirect us to the home page. 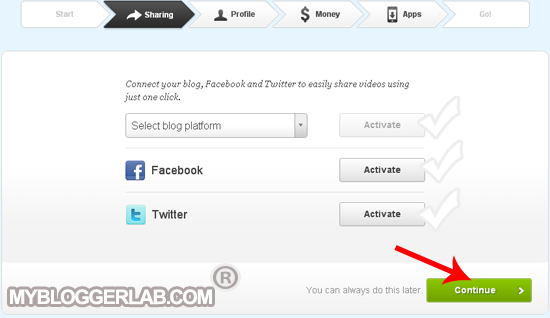 Upload: The most significant option, it will guide us to upload our videos. Videos: It is the place where all our uploaded views will be present. Numbers: In here we can keep and eye on our visitors and can track their activity. Record: This allow you to record your videos via webcam. Every website is renowned for its features and sincerely after going though this quick review hats off to Videofy.me team. They have assembled a perfect community not only for publishers but also for spectators. I personally believe this is the beginning of a new era it did attracts me, as if I am a bee which is starving for honey. I highly recommend you to sign up your account as soon as possible to start earning marvelously well. Do you think it’s The End? If I say it’s the opening. In coming up days, we will share some more exciting posts on Videofy.me which will take us to the next level of Video Blogging. So guys this is it for now, what do you think about Videofy.me? Give your thoughts till then peace, blessings and happy earning while video Blogging. hello bhai in the video of logo making...when you click in the video a red colour will appear on the pointer can you tell me how to do this in mine..
amm bhai i have a problem videofy.me ki taraf se mail nahi pohanch rahi do din se acxtivation mail ki option par click kar raha hn but ere account main aa hi nahi rahi gmail k sath koi problem hai kya? do you have any idea about how youtube works for pakistan? Videofy.me Pakistan Mey Kaam Karta hai? Yes Brother I Works In Pakistan and People are Making Thousands With it. Are those countries that you listed the only ones eligible for video monetization? Thanks Syed...I got the picture. how long it will take to verify my earnings?? do u have any experience ?? I am not getting any option for Money setting. Can you please help me? Also I think user interface has been changed. I am not getting this type of user interface as in the image shown above. Please help. Unfortunalty, This service is no more supports Money Making program. This service is no more supports Money Making program.